Huntington Beach, CA sits on an 8.5-mile stretch of sand, and has been dubbed Surf City USA for its killer waves and annual U.S. Open of Surfing competition. 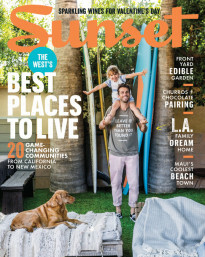 The town is even home to the International Surf Museum, and the harbor is always abuzz with something to do, whether strolling surf shops or hitting up the many California casual restaurants for the day’s fresh catch. 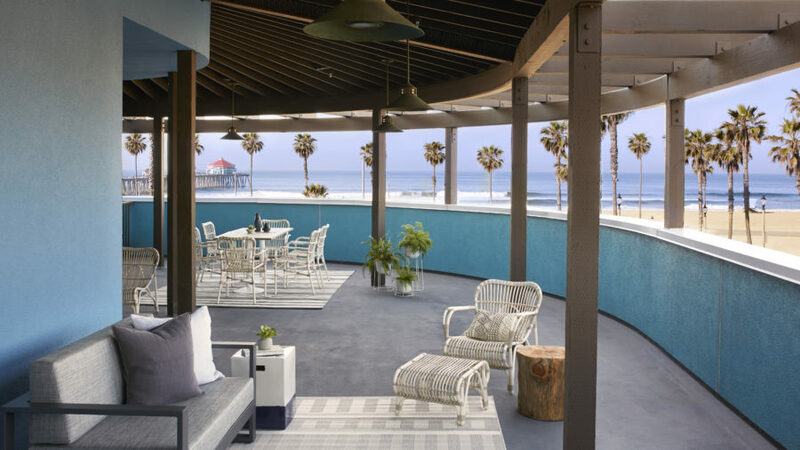 Though Disneyland’s a mere 30-minute drive inland, the Kimpton Shorebreak Hotel is a playground in its own right for grown-ups looking to relive their youth in the heart of Huntington Beach. This summer, the oceanfront boutique hotel is offering a fun-filled Adult Summer Camp Package with all the makings of a carefree beach vacay, from a stay in the property’s ultra-comfy digs to surfing and games galore. The recently updated property features several nods to the city’s nickname, with surf-inspired art in every room, and a chic lobby decked out with nautical-chic decor, comfy seating, and plenty of areas to mix and mingle, whether cozying up by a firepit on the expansive patio or checking out the hip, mural-walled restaurant, Pacific Hideaway. The r guest rooms are equipped with super-plush bedding, cozy linen bathrobes, and modern amenities including a yoga mat. Beyond the room, “summer campers” will enjoy surf lessons for two, a mixology class (and cocktails) with Shorebreak’s lead bartender, Casey Lyons, and a complimentary brunch for two at the Asian- and Latin-inspired Pacific Hideaway, as part of the package. Also not to miss: the hosted daily wine hour, the housemade cold brew served fresh in the lobby each morning, and the hotel’s stock of beach cruisers to help you explore beyond your posh basecamp. In proper summer camp fashion, a myriad of games awaits—including ping pong, corn hole, and a life-sized chessboard on the patio—plus, of course, fireside s’mores. You’ll even get a fanny pack filled with sunscreen, snacks, and cocktails to go. If you have the gusto for exercise, give the state-of-the-art gym a whirl—it has a full Crossfit set-up, cardio and weight equipment, and a climbing wall. Exercise doesn’t have to be part of your getaway’s agenda, but when it’s this fun, why not? The property is also pet-friendly, so even Fido can join in on the fun. The Summer Camp Package is available through Labor Day (with blackout dates during U.S. Open of Surfing), and rates start at $429/night.